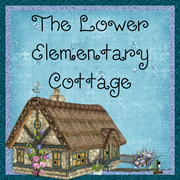 The Lower Elementary Cottage: Busy busy spirit week! This is going to be short and sweet... I am CRAZY busy trying to get things done in the last 3 weeks of school! Plus it's spirit week! I was teaching in my PJ's on Monday, and rocking my hot pink soccer socks and my uniform today for Sports Day. Tomorrow is Superhero day...not sure I have anything ready for that! I'm scrambling to get all sorts of paperwork done this week before the chaos of the last week of school sets in. I've got social skills assessments, report cards, common core standards progress reports, class awards, a slide show, and who knows what else I'm forgetting. I know I need to have my whole classroom empty by the end of the school year since I won't be returning in the fall. I'm super excited about my new job, but it's going to be a very wacky couple of weeks until then! 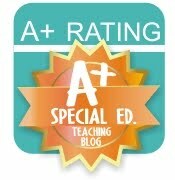 Just in case you missed it, yesterday was my 1st Bloggy Birthday! Click the image below to go to yesterday's post and the FIVE Rafflecopters to win fabulous prizes! !